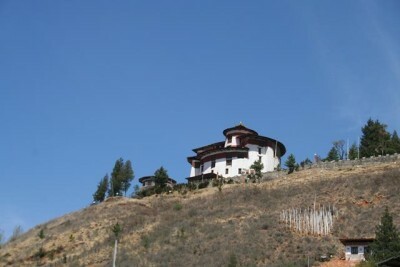 Paro; Bhutan: Museum: Works on renovating the national museum in Paro has begun exactly 365 years after it was first built by the half-brother of Zhabdrung Ngawang Namgyal, La Ngonpa Tenzin Drukda.The museum hosted in the famous watchtower, Ta dzong, had suffered severe damage during the 6.9 magnitude September 18, 2011 earthquake, which had its epicenter in Sikkim. 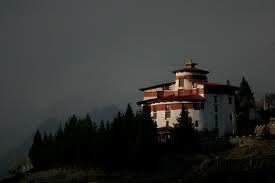 The Ta dzong was converted into museum in 1967. Uniquely designed in the shape of a conch-shell, the national museum houses more than 3,000 antique artefacts like historical objects dating from the prehistoric to present time, which are displayed in a temporary hall above the Ta dzong today.Director of the national museum, Khenpo Phuntsok Tashi, said it took more than two years to document all the artefacts displayed in the museum.“With the documentation and drawings completed, we have finally begun the renovation works,” he said. “If things go as planned, we are also planning to inaugurate the museum in 2017 coinciding with its golden jubilee.”A total of Nu 60M is expected to go into the renovation works with the government of India funding the renovation. Khenpo Phuntsok Tashi said that before the earthquake took place, each floors displayed various items ranging from traditional arms, armors, pre-historic items, stone pots, the famous ‘horse egg’ and bamboo products among others.“Today the temporary hall displays only important artefacts,” he said.A renovation was done on the tower in the 1960’s where new windows were added. The 2011 earthquake damaged only the renovated parts. The main structure is still intact. “With the current renovation, each floor will be restored fully with additional modern facilities such as security cameras and emergency exits among others,” said the director.After the damage by the earthquake, the numbers of visitors dropped by half to about 35,000 in a year and with the completion of the renovation works, a total of more than 60,000 visitors are expected to visit the national museum every year.